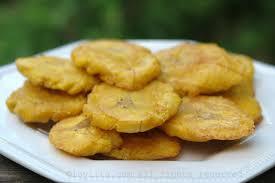 Tostones Tradicionales - Traditional Tostones - Tienditadepuertorico.com - Buy Puertorican Food Here!! with 1 teaspoon of sour cream and 1/2 teaspoon black or red caviar. Delicious!